The Electronic Frontier Foundation and the ACLU Foundation of Southern California are taking the fight over automatic license plate reader (ALPR) data to the next level by asking the California Court of Appeal to rule that the public has a right to know how Los Angeles cops are tracking their locations. ALPRs are cameras mounted to patrol cars and fixed locations, such as light poles, that are able to capture, process, and store the license plates of every vehicle that passes nearby. The Los Angeles Police Department and Los Angeles County Sheriff’s Department together collect close to 3 million license plates each week; these data points could give police an intimate picture of the comings and goings of the entire population over several years. By our estimates, these agencies currently have an average of 61 plate scans for each vehicle registered in Los Angeles County. A network of readers enables police to collect extensive location data on an individual, without his knowledge and without any level of suspicion. ALPRs can be used to scan and record vehicles at a lawful protest or house of worship; track all movement in and out of an area; gather information about certain neighborhoods or organizations; or place political activists on hot lists so that their movements trigger alerts ... Taken in the aggregate, ALPR data can create a revealing history of a person’s movements, associations, and habits. Two years ago, EFF and ACLU SoCal used the California Public Records Act to obtain policies and training presentations regarding ALPR used by these agencies, but the agencies refused to provide us with one week’s worth of ALPR data that we believe is crucial to an informed public debate over this mass surveillance technology. When we took LAPD and LASD to court, the agencies came back with a stunning argument that they were allowed to withhold this information because 100 percent of the data constituted investigative records, which are exempted from disclosure under California’s open records law. Who were they investigating? Every car in Los Angeles. The Superior Court judge ultimately ruled in favor of the Los Angeles cops, but this decision was based on serious misconceptions about how the technology works and the public interest in the data. These two points are the central issues EFF and ACLU SoCal are now asking the California Court of Appeal for the Second Appellate District to consider. 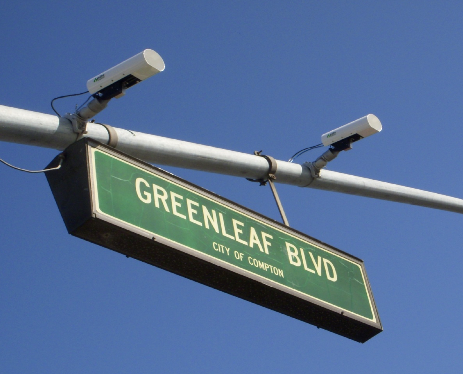 LAPD and LASD use ALPRs to collect license plate data automatically and indiscriminately on each and every driver in Los Angeles who passes within range of their cameras—at a rate of three million scans per week—whether or not those drivers are suspected of wrongdoing. These systems are unlike almost any other surveillance technology in use by law enforcement today. Even red-light cameras, which also capture an image of a vehicle’s license plate, are only triggered to save a picture of the plate when the driver has violated the law by entering an intersection after the light has turned red. EFF and ACLU SoCal are also challenging the judge’s conclusion that releasing the week’s worth of data would compromise police investigations, outweighing the public interest in seeing this data. For example, the judge indicated that releasing the data would reveal patrol patterns, despite the fact that patrol patterns aren’t particularly secret—patrol cars are easily viewable to the naked eye. In each of these examples, disclosure of the data was integral to informed debate—within the legislatures, among the general public, and even within the agencies themselves. Without public access to information about how ALPR technology is being used—including the raw ALPR data from a limited time period—the very people whose whereabouts are being recorded cannot know if their rights are being infringed nor challenge policies that inadequately protect their privacy. Around the country, we have seen local law enforcement agencies adopt privacy-invasive technologies with little oversight or public input. In some cases—particularly with ALPRs—even the companies supplying these devices ask agencies to sign agreements not to speak publicly about these programs. The truth is: the only threat posed by transparency is to the police’s unchecked surveillance powers. Click here for the text of the petition for writ of mandate.